Made to stand the test of time this solid-state Curtis Mathes 8 track player receiver was made with the best electronic components of its day. This late 1960s 8 track device was well made with a system that is based entirely on the the use of semiconductors. The Curtis Mathes Company became masters of design in the field of stereo semiconductors and solid-state components for receivers and stereos during their day. 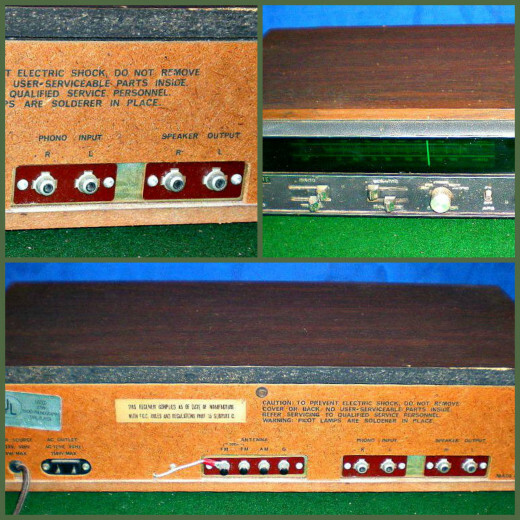 The Curtis Mathes Company in the early 1960s were the world leaders of design during the transition from the vacuum tube technology to the semiconductor diode and transistors as seen in this flawless 8 track receiver. 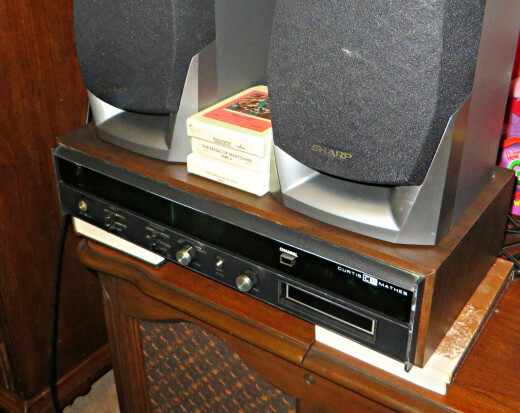 If you want the best sound you need to use the Curtis Mathes Speakers that came with this receiver with the Curtis Mathes 8 Track Player. The amazing thing about the 8 track tape was it doubled the amount of programming on the tape by providing eight total tracks, and this was done by usually comprising four programs of two tracks each. Most music and sound experts agreed that this compressing the programs somewhat diminished the quality of the sound. Regardless of some criticisms the increased popularity of the 8 track player was remarkable in the 1960s. As it began to be the initiative and driving force in many improved stereo designs and types in the American and European homes. 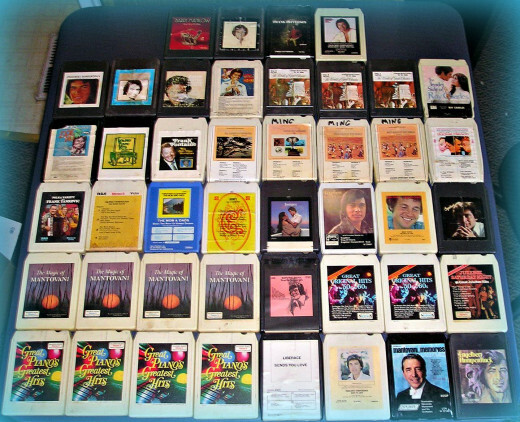 The 8 track players that were introduced in the late 1960s for home use came right after the ones for the automobiles, and many people loved the format by then. These 8 track player and receivers remained a top seller for most companies including Curtis Mathes through the first several years of the 1970s. In the video below is the Curtis Mathes 8 Track Player, playing "The Unicorn Song"
In the video below: Curtis Mathes 8 Track Player, playing "Mack the Knife, and My Special Angel "
The Curtis Mathes capstan was design to withstand wear and buildup. It does not collect as much tape residue, and other dirt that the lubricants on many other cheaper capstans do over time. On cheaper made 8 track players this built up on the capstan causes the tape speed to increase and, with the buildup being uneven, the tape speed would correspondingly become just as uneven. The uses of only the best made capstans and lubricants kept this Curtis Mathes 8 track stereo Receiver 63-1 working flawlessly year after year. No matter who made your 8 track tape or how vintage it is the Curtis Mathes 8 track stereo Receiver 63-1 can play it. In the video below: Love is Blue, & I Say a Little Prayer for You Played on a Curtis Mathes 8 Track Player. Some less well made units are subject to the capstan wear, causing a decrease in tape speed. Many technicians in the late 1960s and early 1970s routinely kept a supply of new capstans on hand in their repair shops so they would be ready to install into these cheaply made worn decks. The fact is that once a capstan wears only .001" the 8 track tape speed will slow. Replacing or resurfacing the capstan would restore operation. In many of these machines you can see folks place a matchbook under the 8 track tape to fix this issue while playing the tape. This was done primarily because the cheaper made capstans of these models got worn down and polished so they could no longer grip the 8 track tape and play it at the right speed. Once these capstans are Replaced it will restores proper operation without using a matchbook wedge under the 8 track tape cassette. A beautiful and vintage solid state Curtis Mathes AM FM 8 track stereo receiver. This Curtis Mathes model 63-1 was top of the line in her day. The dimensions are 19 3/4" wide, 10" deep, and 4 1/2" tall. Almost all 8 track players produced a mechanical click when switching programs, the Curtis Mathes 8 track stereo Receiver 63-1 is in this category. The early well made Lear 8 track players would switch silently. It was because of the expense of producing tape heads capable of reading the eight tracks that most eight-track players have heads that will read only two tracks. The amazing mechanism of switching from program to the next program is accomplished by remarkable moving of the 8 track player head itself. This makes the alignment of the 8 track head to the 8 track tape very crucial to any 8 track tape playing system that could stand the test of time. Sadly with many 8 track players designed to be cheap, this expensive and well balanced configuration degraded the sound of the eight-track tape on many less expensive systems. Not so on the Curtis Mathes 8 track player and receiver. This Curtis Mathes Receiver 8 track tape head plays two tracks at a time in stereo, and was years ahead of its competitors. It has a state of the art senor to read the metal sensing strip connects the ends of the strip of each 8 track tape, which forms the loop. This is where the real 8-track “clicking sounds” happen. When the 8 track tape reaches the end of one of its program, the 8 track metal sensing strip connects with the Curtis Mathes made solenoid coil in the player. All 8 track tapes sound good on the Curtis Mathes 8 track player. From Hawaiian to Country this player makes the sound rich and beautiful. It was in these golden years of the 1960s that for the first time, the American consumer and the automobile driver had complete control over when and what they were going to listen to. The new 8 track tape cartridge inspires further stereo and receiver development and innovation at the Curtis Mathes Company and they seized the marketing possibilities of a state of the art 8 track player and receiver. They introduced a remarkable home player the Curtis Mathes Solid State AM/FM & 8 track Stereo Receiver 63-1. This model was made with a great deal of design and care for the eight-track lover and owner in the year 1969 with this model. The Curtis Mathes 8 track tape Receiver playing "Great Original Hits of the 50's & 60's"
The Curtis Mathes made coil causes the playback head to shift along the width of the tape. There is the loud "click' sound you hear between the different tracks on the 8-track tape programs. The design of the Curtis Mathes coil creates little ware and damage to the tape, and therefor extends the life of each tape it plays. Other players of this era would stress the tapes over time and cause damage to tapes over time; not so with this CM receiver. The well balanced CM playback head, shifted to the new position flawlessly, and begins to play the next 8 track program in the tape sequence. The amazing thing is that this process can go on indefinitely with this player unless you set the play once button on the receiver. Otherwise it will, run through each of the four 8 track tape programs in sequence, forever until the power is cut off the machine. The Curtis Mathes 8 Track Receiver Playing "Liberace, A brand New Me"
In the year 1970, a standard vinyl record would be released; and soon after the pre-recorded 8 track tape version would appear no more than a month or so later. 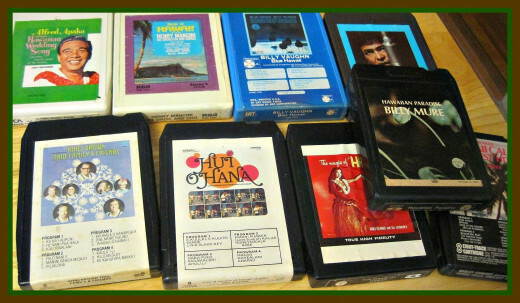 This was the time when the record companies begun to recognize the convenience of these self-contained 8 track tape cartridges and noted that many of the consumers were now choosing them over the vinyl LP records simply due to their smaller size and portability. It was at this time that many of the car companies also began to promote the more pricey quadraphonic 8 track systems as an option for the music center of the dash board of higher end automobiles. This Curtis Mathes 8 track player and receiver has been a daily player and receiver for over 40 years. It has all the same original hardware that it came with from the Factory. With the CM Player the World of Music was yours to Command. The eight-track tape cartridge and player was more than revolutionary when it came to time. For the first time in the history oy man you did not have to listen to what was on the AM or FM radio receiver if you did not like what they were playing. You could listen on your own personal 8 track tape to Hawaiian music or Hank Williams or the Beatles. Whatever you wanted to hear whenever you wanted it in an endless loop. With a great receiver like the Curtis Mathes 8 Track player the world of music was yours to command. 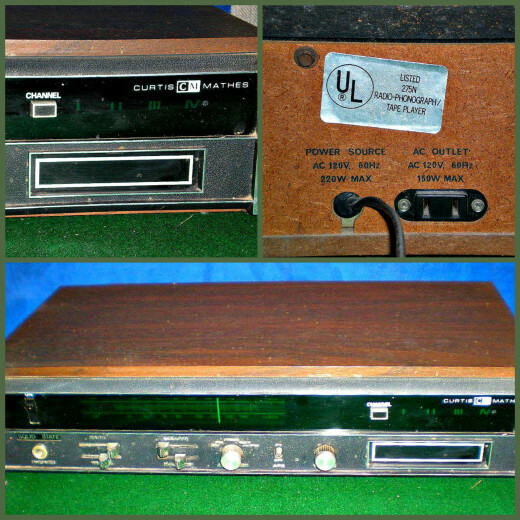 This Curtis Mathes 8 track player and receiver has a very simple and clean design which is one of the reasons it has lasted so long without any problems. In the 1970s the 8 track Players take off like a Saturn Rocket.